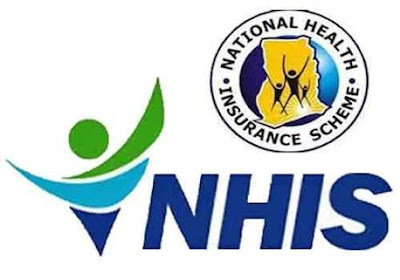 The Nigerian House of Representatives resolved yesterday to investigate the alleged illegal withdrawal of N10 billion from the account of the National Health Insurance Scheme (NHIS). It has mandated its committees on Healthcare Services, Anti-Corruption and Finance to look into the matter and report back, for this reason. The decision was die to the adoption of a motion on the need to investigate the Illegal withdrawal of the sum of N10 billion from the “Insured Persons” Fund of the National Health Insurance Scheme (NHIS) sponsored by Hon. Chike Okafor. In his debate, Okafor noted that for the purpose of carrying out the mandate of the Scheme, a fund made up of five per cent contribution by each insured person is maintained with the Central Bank of Nigeria (CBN), under the Treasury Single Account (TSA) policy for the administration of the Scheme. He also noted that the withdrawal of monies from such designated accounts under the TSA at the Central Bank of Nigeria (CBN), by any government agency is done upon the request of the Chief Accounting Officer of the Agency. He however informed the house that two withdrawals of N5 billion each (totaling N10 billion) were made from the “Insured Persons” Funds account with the Central Bank of Nigeria (CBN) on 28 December, 2016 and 11 January, 2018 respectively adding that the withdrawals were made while the Executive-Secretary of the Scheme, Prof. Usman Yusuf, was suspended. Okafor explained, “Upon inquiry the executive-secretary informed the committee that neither him nor any staff of the agency made any request for either of the two withdrawals stating that the withdrawals were authorized by the minister of Finance without the input of the agency and in contravention of the laws and regulations governing such actions. “Such practices, if not checked, will erode public and international confidence in the Scheme and make a mockery of the anti-corruption stance of the present government”. The members supported calls for the summons of minister of Finance, Kemi Adeosun and the governor of the Central Bank of Nigeria, Godwin Emefiele to shed light on how the withdrawals were authorised. In his contribution, Hon. Muhammed Sani-Abdu, who worried that the TSA may be mismanaged, also noted the need for anti-graft agencies to investigate the transactions. Recall that the health services committee in a meeting with the NHIS chief shortly after his recall in February, sought clarification on the alleged disappearance of N10 billion from the agency’s coffers. In his response, Yusuf maintained that the money was not missing from the agency’ vault and explained that the money was erroneously transferred to the consolidated revenue account, at the instance of the Ministry of Finance and the Office of the Accountant-General of the Federation who view NHIS as a revenue generating agency. The executive secretary further informed that the said N8.8 billion was paid into consolidated revenue account following a memo from the Federal Ministry of Finance that NHIS pay for “operational surplus” as a revenue generating agency.